My book group has gathered every month for more than 20 years to read books by and about women. After all that time and all those books, is it possible we have agreed on a favorite? Yes. 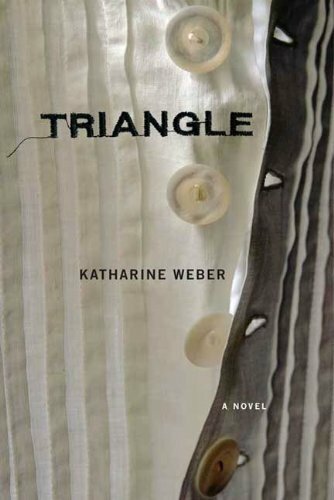 Our favorite book club book of all time is Triangle, a novel by Katharine Weber. The book weaves together the stories of Esther Gottesfeld, the last living survivor of the Triangle Shirtwaist factory fire of 1911; her scientist granddaughter; and a feminist researcher who asks Esther to share her memories and then listens a bit too carefully. The novel is riveting and challenging, with complex characters. The Triangle Shirtwaist fire took place 103 years ago this week. It was a predictable and preventable tragedy that killed 146 workers – mostly young immigrant women – at a clothing factory in New York. Not the Triangle Shirtwaist factory. The two owners – Max Blanck and Isaac Harris – refused to unionize and refused to address safety concerns, including workers’ calls to leave factory doors unlocked and provide functional fire escapes. A year later, these safety issues cost 146 people their lives. But they cost the factory owners nothing – in fact, the two men profited from the tragedy. While they settled lawsuits by paying family members $75 for each lost life, the owners received insurance settlements of $400 for each worker killed. The two men went on to run other factories, accumulating and ignoring citations for the very safety violations that had led to the carnage at the Triangle Shirtwaist factory. It may seem we’ve strayed pretty far from the topic of favorite book club selections. But that’s the power of a good book: it takes you on a journey out of your world and into another. And with a haunting novel like Triangle, part of you is likely to remain there for a long, long time. Are these books your cup of tea? For a change of pace, I thought I’d stop talking about my own book and post some mini-reviews of books I’ve read lately. Some I loved. Others were, well, not my cup of tea. Let’s start with four books I enjoyed. Blue Highways by William Least Heat-Moon. In 1977 William Least Heat-Moon lost his job and his marriage, and decided to pack his truck and drive across America on small country roads – depicted on maps as the “blue highways” that trickle off from the major expressways. In his travels he meets fascinating people, explores dwindling small towns and their human history, and considers what to do with the rest of his life. Although he identifies as Native American like his father, Heat-Moon resembles his white mother, so he frequently hears the unselfconscious racism that white people share with one another. The book is a satisfying meander through territory that is by now twice-vanished: the rural towns whose singularity was already being erased by television and superhighways; and the America of 1977, still reeling from the Vietnam War and the social upheaval of the 1960s. What if Margot Frank, Anne Frank’s older sister, had survived the concentration camps? What if she tried to shed her past by moving to Philadelphia and creating a new identity for herself as a non-Jewish woman named Margie Franklin? This is the premise of Cantor’s compelling and haunting novel, which takes place in 1959 just as the movie version of “The Diary of Anne Frank” sweeps across America. The Museum of Abandoned Secrets by Oksana Zabuzhko. This sprawling novel takes place in modern-day Ukraine and in the Ukraine of 60 years ago. The plot hinges on the friendship between two women in today’s Ukraine: a journalist who hosts a popular TV interview program, and a respected artist who is killed in a freak car accident. Their story develops with a parallel story about a woman freedom fighter during WWII, about whom the journalist is trying to make a documentary. The novel is a bit challenging to read – the plot swirls around in time and place (some of it taking place in dreams) – but well worth it for the revelations about life in Ukraine, explorations about how people absorb or fail to absorb seismic political and cultural shifts in one lifetime, and wise observations about human nature and friendship among women. Notes from No Man’s Land by Eula Biss. A collection of essays about race, written by a white woman. The essays are brilliant, incisive, brave, and unpredictable, drawing surprising connections and provocative conclusions about everyday American life and the hidden and overt dynamics that bind us together and tear us apart. Here are two books that got lots of buzz and critical praise, but that I found disappointing. A bold but naive young woman, known only by the city of her birth (Reno) moves to New York to be part of the cutting-edge art world in mid-1970s. What Reno loves is speed – as in skiing and riding motorcycles – and men. These two appetites get her involved with the black-sheep son of a rich Italian family that manufactures motorcycles, and ultimately in the radical politics of Italy. Despite the critical acclaim it received and the fact that on the surface this book should appeal to me strongly, I was only lukewarm about it. Reno’s passivity in her relationships with men got tiresome. Sweet Tooth by Ian McEwen. I’ve tried and tried to like Ian McEwen, but to no avail. While I can appreciate the clarity and precision of his prose, it has always seems soulless to me. And when his novels reveal their startling plot twists at the end, you can practically hear the Law & Order “cha-chung” sound in the background. His depiction of the inner lives of women characters is particularly unconvincing, although that actually turned out to be a strength in this book. All that being said, Sweet Tooth does have some things to recommend it. The novel is about a young university graduate who almost accidentally finds herself working for MI5, the British Secret Service, after being groomed for the job by an older professor with whom she had an affair. Her undercover task is to find and encourage with grant money the right sort of young writers whose work will provide cultural and intellectual support for the anti-communist side of the Cold War. Set in the 1970s, the novel does an excellent job of portraying the atmosphere of Britain in decline, beset by terrorism, economic woes, cultural upheaval and self-inflicted political wounds. I just finished reading the novel The Invention of Wings by Sue Monk Kidd (my cup of tea!) and started Redeployment by Phil Kay. Among the many, many books on my teetering “to be read” pile is The New Jim Crow by Michelle Alexander. How do you handle the perpetual problem of so many books, so little time? Whenever I mention my novel (which, you may have noticed, is fairly often), people ask me why I chose to write about a woman who served as an Army nurse in Vietnam. Did I serve in the war? 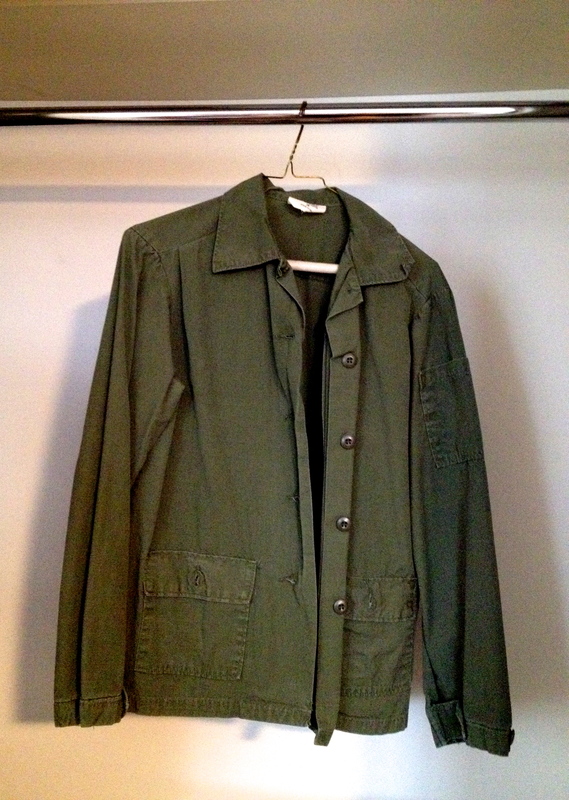 Was I ever in the military? Am I even a nurse? But like most members of the Baby Boomer generation, my youth was shaped by the war in Vietnam – and by the movement to end it. One reason was the draft. Unlike today’s wars, which seem to be fought only by a small and grievously burdened community, the Vietnam war had the power to reach into almost any American home that had a teenage son. My father and all my friends’ fathers had served in World War Two. We grew up in the glowing shadow of that Good War. But the Vietnam war was the first to be waged on television, and it became frighteningly clear that this was not a good war – and that our political leaders were lying to us about it. The 1970 killing of American college students by uniformed troops – as the students peacefully protested on their own college campuses at Kent State and Jackson State – made me feel profoundly alienated from my own government. While it would be other issues that galvanized me, my life as an activist began that day. 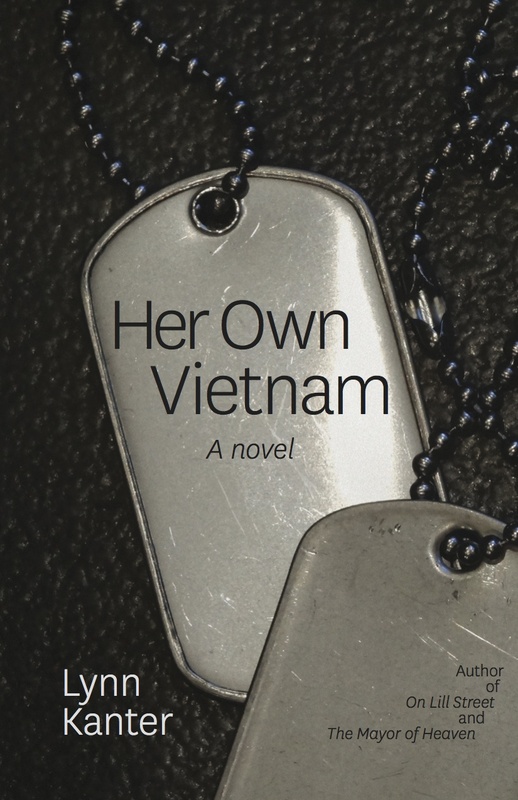 So what happened in 2000 that first gave me the idea to write a novel that would become Her Own Vietnam? Honestly, I can’t tell you. 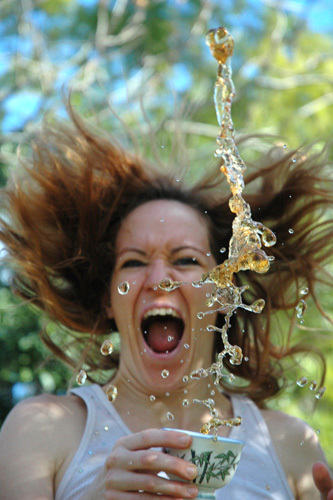 I was walking down the street when it struck me: What would it be like to be a regular middle-aged woman, just living your humdrum life, but to have that experience in your past? To have participated in a war so hated by much of your nation that the hostility unforgivably slopped over onto you and your comrades, the very people your country sent to wage the war? How would you feel? Who would you tell? Who could ever understand what you’d been through? I had to start from scratch. I knew nothing about their lives. I started by reading everything I could find about women who served in Vietnam. There wasn’t that much. Then I joined a listerv for women Vietnam veterans. They knew I wasn’t one of them, that I was there to research a novel, that in fact I had marched against the war. Yet they welcomed me. They answered my questions and shared their stories – even some that must have been painful to tell. As I listened, I realized I had been wrong. I did know something about their lives after all. Because many of these women, these war veterans, had for decades kept their service a secret. They were in the closet. And having come out myself in the pre-rainbow days of the early 1970s, that was an experience I understood all too well. Her name was Chris Banigan. She had been a Captain in the U.S. Army Nurse Corps, and had served two tours in Vietnam, from 1969 to 1971, based in Quang Tri and then Chu Lai. Chris generously shared her vast knowledge and experience, from specifics about how nurses learned to deal with gunshot wounds (they treated a live, anaesthetized goat who had been shot for that purpose), to the details of her recurring nightmares about the war. Chris was the first veteran to read an early draft of my novel, and gave me her careful corrections and quiet encouragement. Because she lived in California and I lived in DC, our conversations took place via email. That changed on Veterans Day of 2003, when I was thrilled to meet her in Washington at the Vietnam women’s memorial. Miraculously, that day she had encountered at the Vietnam Wall a soldier who had been her last patient in Vietnam. He had been visiting the Wall for years on Veterans Day, walking along its gleaming black expanse and asking everyone if they knew a nurse named Banigan. Finally, he asked her. Chris Banigan died suddenly, 10 years ago this weekend, on March 15, 2004. 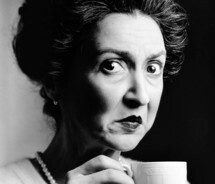 She was only in her fifties. I am quite certain a part of her died in Vietnam. By telling the story of Her Own Vietnam, I hope to shine a light on a fascinating but hidden corner of our shared American history, and to honor women like Chris Banigan. Click here to see Chris Banigan’s photos and descriptions of her time in Vietnam. Allow me to introduce you to the cover of my new novel. I love it! The cover seems to evoke the feeling of the novel. To me, this is nothing short of miraculous. An artist read my stack of words and turned them into a simple, somber, striking image. I hated the cover of my first novel, and when I told my otherwise very kind and generous publisher, she replied, “Thank you for your input.” The cover stayed. This time around, I got to collaborate with the publisher and the designer to figure out what we wanted the cover to communicate. And by collaborate, I mean something akin to me telling an expert chef, “I’d like you to make a dish that has some peas and maybe a little salt” – and then feeling very accomplished when she produces a risotto. It’s not exactly accurate to say that I had nothing to do with the cover. I bought the dog tags, and my partner Janet took the photo. And the textured surface you see in the background? That’s our kitchen floor. But handing a chef some peas and a pot does not a risotto make. So hats off to the designer, and let’s move on from the kitchen metaphors. My publisher has asked me to write “a short description that really gets at the heart of your book.” The trick is, I have to write it in various lengths: one sentence, 50 words, 100 words, 250 words, etc. This is very difficult to do. If you don’t believe me, try to describe one of your children in 50 words. Rosalie will take my descriptions and rework them into compelling language to interest booksellers and librarians. She has also asked me to come up with a series of key words about my novel to use in search engines and library or distributor catalogs. Some catalogs provide a drop-down menu with oddly limited choices. You can categorize your book as a war novel, for example, but not an anti-war novel. I fear readers who are in the mood for a big, macho war novel will be dismayed by Her Own Vietnam. In other news, one of the writers we asked to write a blurb for my book has said no. But it was a very cordial no. She let us down easy. Meanwhile, two more blurb requests are pending. Who wouldn’t want to blurb a book with such a gorgeous cover?